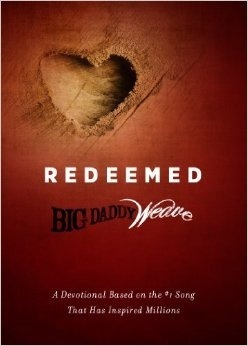 Review of “Redeemed” a devotional by Mike Weaver – Write. Share. Live. I know that the song on which this devotional is based has helped many, many people. Jesus redeemed us from, like tears, sin, and feeling unworthy of God’s love. Each day contains a short message, correlating scripture, quotes from other believers, and a place to write your thoughts down.